The Game Awards 2018 can't come soon enough! Just last week, Geoff Keighley confirmed that over 10 new games will be announced at The Game Awards 2018, giving gamers all the more reason to tune in this Friday (December 7). 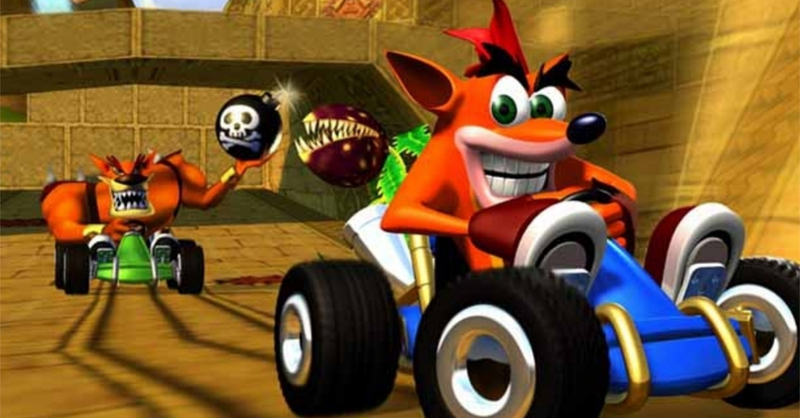 There have been a lot of rumors as to what new titles will be revealed, though we’re pretty confident that one of those games is a remaster of Crash Team Racing! PlayStation Access presenter Hollie Bennett recently tweeted a picture of two fuzzy dice along with the words “Sliding into the Game Awards on 6/12.” These fuzzy dice (whcih are often put on a car’s rear-view mirror) are colored a lot like Crash Bandicoot himself, meaning this is most likely a tease for Crash Team Racing. As further proof of a Crash Team Racing remaster announcement, the official Crash Bandicoot PS4 Facebook page recently changed its cover photo into a checkered flag. If CTR is indeed getting a current-gen console release, this will be the second remaster for the series after last year’s Crash Bandicoot N. Sane Trilogy. Released in 1999, Crash Team Racing is a racing spin-off of the Crash Bandicoot series on the PlayStation. The game was a PlayStation exclusive, though it received an indirect sequel entitled Crash Nitro Kart for the PS2, Xbox, GameCube, and the Game Boy Advance. Next articleFrom the creator of InuYasha and Ranma 1/2 comes a new manga series! It’s official, Battle for Azeroth is the fastest-selling WoW expansion ever!